Looking for some reading over the long weekend? Like listening to audiobooks during your commute? Check out some medical history titles now available on Overdrive. Overdrive is a digital media library that McGill subscribes too. You can borrow and download e-books and audiobooks for a lending period of up to 3 weeks. The medical book: from witch doctors to robot surgeons, 250 milestones in the history of medicine, by Clifford Pickover. Touching on such diverse subspecialties as genetics, pharmacology, neurology, sexology, and immunology, Pickover intersperses “obvious” historical milestones—the Hippocratic Oath, general anesthesia, the Human Genome Project—with unexpected and intriguing topics like “truth serum,” the use of cocaine in eye surgery, and face transplants. The iMinds series has short, readable on Bubonic Plague, Epidemics, Penicillin, and other medical topics. Medical detectives: the lives and cases of Britain’s forensic five, by Robin Odell. Nothing but the tooth: a dental odyssey, by Barry Berkovitz. This book offers facts and figures regarding famous historical figures, such as John Hunter, Dr Crippen, Doc Holliday, and Paul Revere, exploring how their connections to dentistry shaped them, as well as the story of the two young dentists who discovered the principles of general anaesthesia. Other chapters focus on the amazing ranges of teeth in animals, from the teeth in piranhas to the tusks and ivory of elephants and narwhals, looking at their biological and cultural significance. Check out the Getting Started guide to download the software you’ll need (Mac/Ipad users take note: you will need to download the free Overdrive Media Console from the app store). You’ll need to sign in with your library account number. Find more information about e-books here. William Osler keeping up-to-date pre-blogosphere. From the Osler Photo Collection, CUS_064-048_P. The world of academic blogging keeps getting better and better and, indeed, a more and more important way of engaging with scholarly communities. Here are just a couple highlights for the historian of medicine. Center for Medical Humanities blog: This longstanding blog from the Centre for Medical Humanities at Durham University is definitely one for the RSS. It’s an important distributor of calls for papers and announcements of conferences, talks, and new publications in medical humanities and history of medicine. It’s also a collaborative blog that features scholarly content from guest contributors ranging from profiles of researchers to introductions to current work. Remedia is a beautifully designed new blog devoted to all things history of medicine, particularly topics that help to illuminate contemporary issues. Entries so far touch on obesity and death and dying (see, for example, this interview about assisted suicide) and although it’s young, it looks like a promising blog to follow. 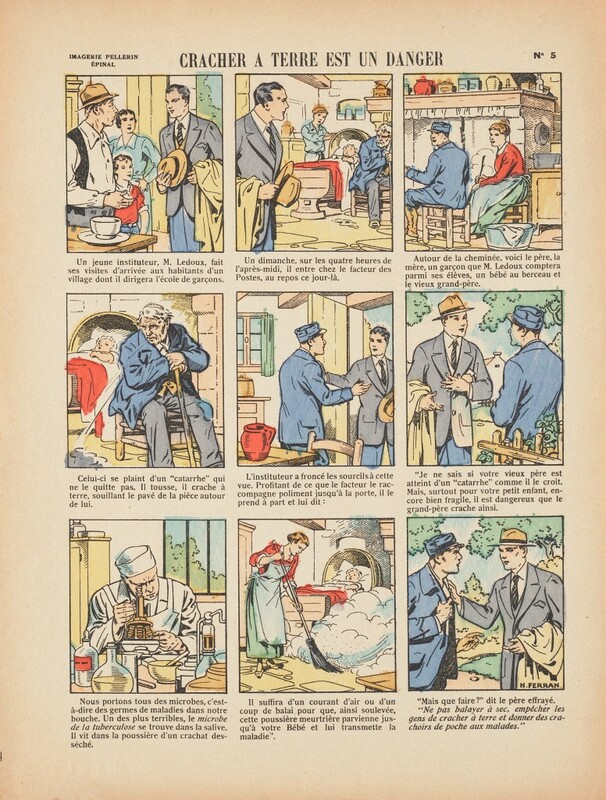 Contagions: Subtitled “Thoughts on historic infectious diseases,” this is an impressive blog by biologist Michelle Ziegler of Saint Louis University that provides an account on her work on “old germs” and public health. Current research topics of her include a bioarcheology of plague, particularly a study of the early medieval plague of Justinian, and inflectious disease in the Americas. Have a look at her entry on gerbil plague! Next in our series of professor blogs comes William Eamon’s site, featuring his blog Labyrinth of Nature: “occasional thoughts and random reflections on the history of Renaissance science.” Eamon, a professor at New Mexico State University and author of two excellent and eminently readable books on Renaissance scientific and medical culture, writes a great blog. The posts are on various topics or events in early modern medicine or science; all are illustrated with images and provide further readings. Check out his study of 16th century Italian surgeon Leonardo Fioravanti and his drug of choice, Precipitato (mercuric oxide), which he prescribed liberally for purgation. Medical History: In this blog, our host, Dr. Turkey, obstetrician by day and historical storyteller by night, shares photographs, anecdotes, and diagnoses (see, for example, her brief history of anesthesia or her opinion on Attila the Hun’s death. A fun read for the historically curious. The Medicine Chest is devoted specifically to early modern and 18th century medicine from Dutch historian Marieke Hendriksen. Her posts span a range of subjects from medical material culture to pharmacy, and topics from harelips to mercury. 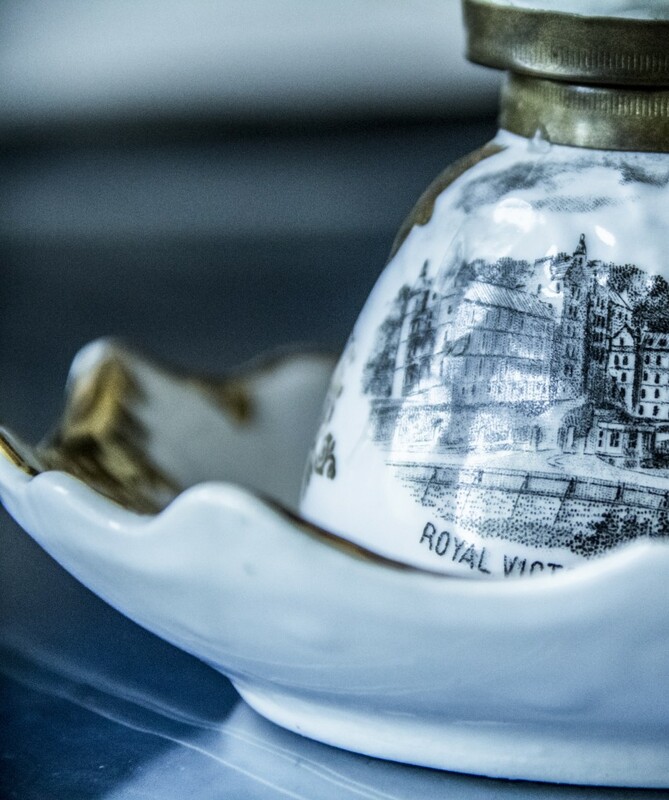 Royal Victoria Hospital inkwell. Photo by Don Toromanoff. 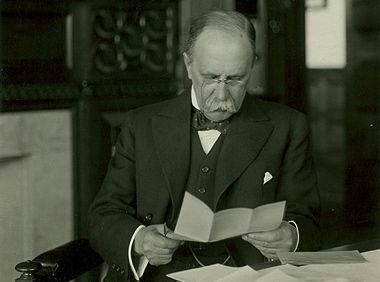 A new exhibition highlighting the contributions of physicians to hospital architecture is up now at the Osler Library. Designing Doctors showcases the Osler Library’s outstanding collection of architectural advice literature on hospital architecture. Its focus is on the development of the so-called pavilion-plan hospital, a ubiquitous typology for hospitals in the English-speaking world in the nineteenth and early twentieth centuries which maximized ventilation and daylight; their signature detail, however, was the Nightingale ward, a large, open space which typically housed about thirty patients. Two sub-themes shape the organization of the exhibition: the role of physicians in the design of pavilion-plan hospitals and the position of hospitals as tourist destinations. Consequently, Designing Doctors presents a series of classic books written by doctor-architect teams or physicians who saw themselves as architectural experts. Several of these books are dedicated by or to famous figures, including Florence Nightingale, Henry Saxon Snell, and Edward Fletcher Stevens. Included here too are delightful souvenir items featuring hospital imagery: an inkwell, a soup bowl, hospital postcards, and a humorous board game as reminders of the wide reach of hospital architecture images in twentieth-century popular culture. The exhibition is curated by Professor Annmarie Adams, Director of the School of Architecture, McGill University, and member of the Osler Library’s Board of Curators. Back issues of the Bulletin of the Scientific Instrument Society from The British Society for the History of Science are now freely available online. There’s no search capability, but back issues from 1984 to 2004 are available for download as PDF from the Scientific Instrument Society’s website. Here’s one example of historical medical instruments found on the pages of the Bulletin: Roland Wittje, “Centrifuges and Ultracentrifuges in Medical, Chemical and Microbiologic Laboratories,” Bulletin of the Scientific Instrument Society 80 (2004). 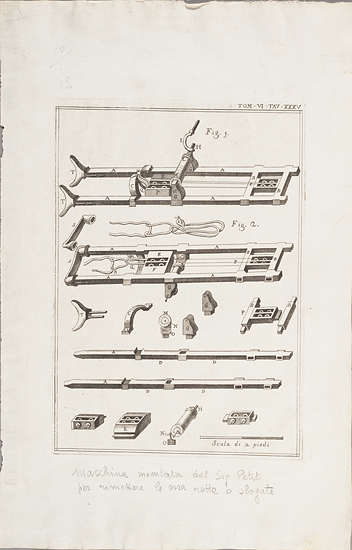 Engraving of medical instruments, likely to replace broken bones, by Carlo Cesi, 1626-1686. From the Osler Library Prints Collection, OPF000047. The Wellcome Library announced the launch of an important new digital collection yesterday. Codebreakers: makers of modern genetics brings together the papers and archives of twenty leading researchers and organizations in biochemistry and genetics, including the personal papers of James Watson and Francis Crick, two scientists credited with discovering the double-helix structure of the DNA molecule in 1953. Have you had a chance to look through this collection yet? What did you think? Happy March everyone. Let’s check out a selection of titles that we acquired in February. Take a look! Barefoot doctors and western medicine in China / Xiaoping Fang. Rochester, NY : University of Rochester Press, 2012. In 1968, at the height of the Cultural Revolution, the Chinese Communist Party endorsed a radical new system of health-care delivery for the rural masses. Soon every village had at least one barefoot doctor to provide basic medical care, creating a national network of health-care services for the very first time. The barefoot doctors were portrayed nationally and internationally as revolutionary heroes, wading undaunted through rice paddies to bring effective, low-cost care to poor peasants. This book is the first comprehensive study to look beyond the nostalgia dominating present scholarship on public health in China and offer a powerful and carefully contextualized critique of the prevailing views on the role of barefoot doctors, their legacy, and their impact. Lotions, potions, pills, and magic : health care in early America / Elaine G. Breslaw. New York : New York University Press, 2012. Historian Elaine Breslaw explores the health crises of early American settlements and identifies the array of Western medicine and indigenous healing techniques practiced side-by-side, together, or in conflict in the period following the American Revolution. Conserver la santé ou la rétablir : le rôle de l’environnement dans la médecine antique et médiévale : actes du colloque international, Saint-Étienne, 23-24 octobre 2008 / textes réunis et présenté par Nicoletta Palmieri. Saint Étienne : Publications de l’Université de Saint Étienne, 2012. This volume of proceedings from an international colloquium contains work by scholars Jacques Jouanna, Heinrich von Staden, and Klaus-Dietrich Fischer among many others. Chinese traditional healing : the Berlin collections of manuscript volumes from the 16th through the early 20th century / by Paul U. Unschuld and Zheng Jinsheng. Leiden ; Boston: Brill, 2012. An impressive three volume set consisting of one volume of essays and two volumes containing a survey of over 800 Chinese medical manuscripts produced for private use from the 16th to the 20th centuries. Urban planning and public health in Africa : historical, theoretical and practical dimensions of a continent’s water and sanitation problematic / Ambe J. Njoh. Farnham, England ; Burlington, VT : Ashgate, 2012. The author investigates hygiene and sanitation policies in Africa, and the resulting state of public health, in the light of European colonial urban planning. Have you had a chance to read any of these yet? What did you think?